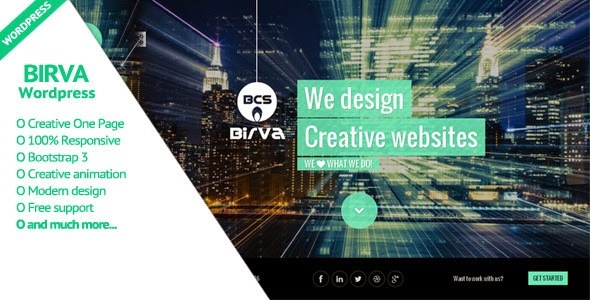 BIRVA – Creative One Page Wordpress Theme is a vibrant, responsive one page parallax theme built on the Bootstrap 3 framework and Wordpress Newest version. It is easy to customize and well documented to suit your needs. Item Reviewed: BIRVA - Creative One Page WordPress Theme 9 out of 10 based on 10 ratings. 9 user reviews.